CakePHP Web Development is a framework that is used for the purpose of rapid development of a particular website or application. It is primarily a structure that acts as a foundation for web developers who create web applications. The flexible structure of the entire framework helps developers achieve their task quite rapidly. One of the most attractive features of CakePHP Web Development is that it helps the users and the developers get rid of a particular monotony that prevails in the field. An active team of developers helps CakePHP Web Development provide its users with the best when it comes to adding value to the project that you are working on. Apart from this, it helps you bring in absolutely new incorporation within an application. The use of CakePHP Web Development ensures the fact that your application is being tested and upgraded on a constant basis. "CakePHP comes with a hoard of benefits, making it more superior to other PHP frameworks on the market." Our expertise lever will amaze you..!! Coding is one of the leading advantages of CakePHP Web Development. It is easy to code, making it extremely easy for developers of create an array of web applications with it. More can be achieved from writing less code and the code can be reused, making it fast to create applications with it. However, a business you don’t have to worry about coding or going through what seemingly looks complex, just leave it all to us. Our team of CakePHP Web Development can create web applications based on your requirements, and we’ll have them up and running in no time. The CakePHP Web Development framework has a specific community that is active at all times and provides the users with a lot of conveniences while using it. The friendly nature of the framework helps developer bring about a lot of alterations within the application that they create. The process of code generation, in this case, is comparatively faster than the other PHP Frameworks. This, indeed, gives the framework an upper hand over the other frameworks of its genre. CakePHP has a very flexible caching procedure that acts as a benefit for the developers who use it. Unlike other frameworks that are used, the caching process, in this case, is quite fast and convenient. The validation process is inbuilt in this case. This relieves the user from the hassle of validating it from an external source. 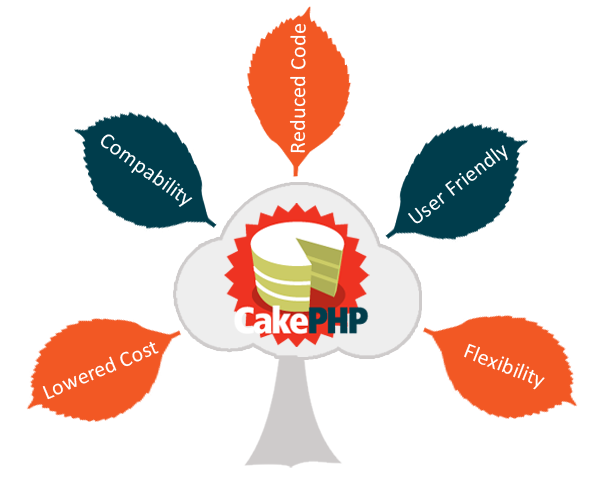 The CakePHP Web Development framework helps developers to develop the applications at a faster rate. With easy code generations, you can bring about complete upgradation in the applications that you create. How did you hear about us? ---GoogleBingForumReference Please leave this field empty. what is larger among 2 and 9? We understand the importance of your enquiry. Please expect our comprehensive response within the next business day.